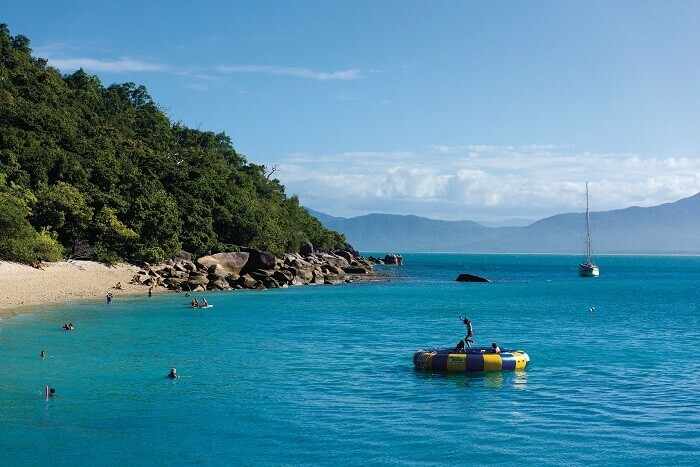 The day starts from Cairns, where we’ll take you to Fitzroy Island on a fast catamaran. Once there, you can explore the island in any way you like for five hours. Afterwards, we’ll take you back to Cairns via the stunning Great Barrier Reef. Please note: Anyone under the age of 18 must travel with a guardian. Snorkel gear, kayaks and stand up paddle boards can be hired on the island on the day. 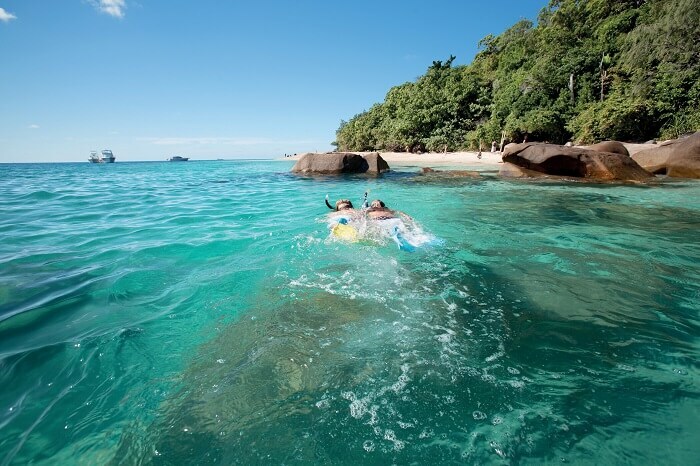 The Great Barrier Reef is formed of thousands of unique, breath-taking islands, and Fitzroy Island is one of them. 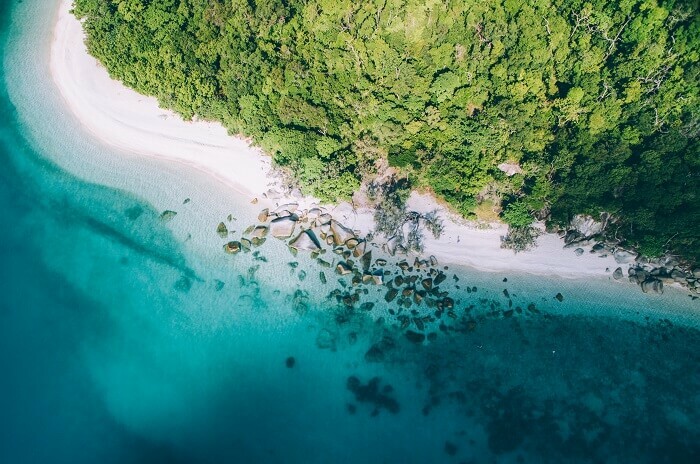 This national park is predominantly covered in sprawling tropical rainforest that leads down onto shores that flank the Great Barrier Reef itself. 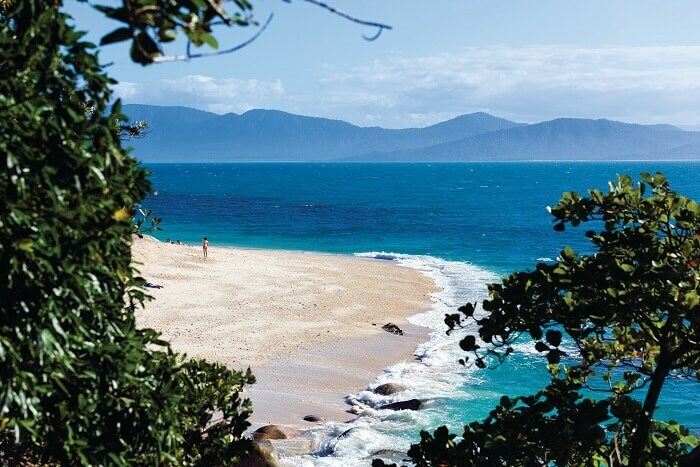 At just a 45-minute cruise from Cairns, it makes for the perfect day trip, where you can marvel at the beauty of this natural wonder and try out some adventurous pursuits. 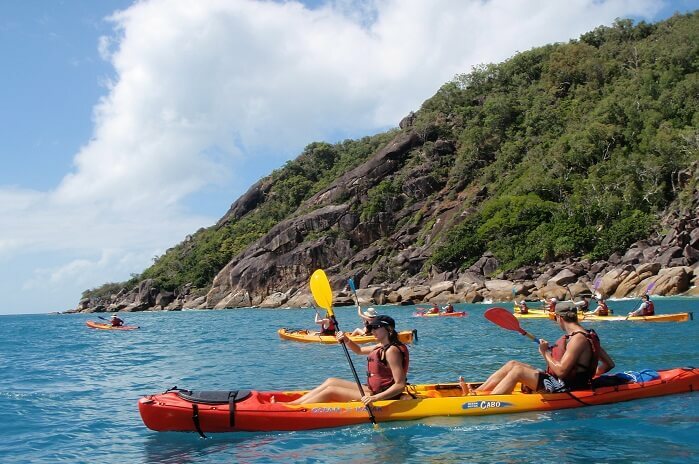 The beaches are one of the best parts of the island, and our day-long tour will give you ample opportunity to feel the sand between your toes and gaze out at the stunning backdrop of the Great Barrier Reef beyond. Elsewhere, there are untouched forests just waiting to be explored and a range of activities, like snorkelling, hiking, and swimming in the shallows. We start the day by travelling to the island on an air-conditioned catamaran. On the way, you can tuck into free tea and coffee, before we spend five hours exploring Fitzroy Island and everything it has to offer. Throughout the day, you can snorkel the fringing reef which sits just metres from the pristine beach, take a self-guided walk through the central rainforests, or take part in one of the numerous other adventures that await for you on the shore. These include people watching in pretty cafes, shopping at the island stores, scuba diving, bushwalking, and visiting the Secret Garden. We’ll then take you back to Cairns via the scenic route through the Great Barrier Reef. Please make your way to the Marlin Marina, 1 Spence Street Cairns. You need to check into the Reef Fleet Terminal by 8:45am. We can arrange bus transfers from most hotels and hostels in Cairns and Northern Beaches. If you cannot see your hotel as an option for pickup when making your booking, please contact us and we can advise you on your nearest pickup location. We cannot pickup from residential addresses. Please note that bus transfers from Cairns ($18 per person) and Northern Beaches ($22 per person) are payable in cash on board.